We are a "National Award Winning Design Build Firm". 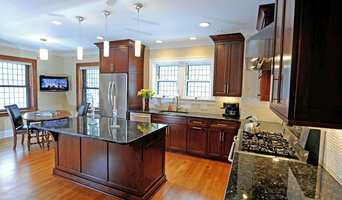 Experts in kitchen remodeling, bathroom renovation, basement refinishing and other specialty construction jobs. We have been transforming homes in Cleveland, Beachwood, Shaker Heights, Pepper Pike, Chagrin Falls, Hunting Valley, Gates Mills, University Heights, Orange, Cleveland Heights and surrounding areas since 1983. Welcome to evoDOMUS - the world of custom prefab homes. Our ultra energy efficient, custom designed, contemporary homes take modular home building to new levels, using a flexible, panelized construction method. We aim to provide you with the highest quality, modern, sustainable home, with net zero capabilities through a single point of contact. For over 25 years, Knez Homes has been a trusted homebuilder in many of Northeast Ohio’s most desirable neighborhoods. When working with the Knez team, you will get much more than an innovative luxury home. At Knez, we believe it’s all about your experience... from the initial design, during selections, and throughout the entire construction process, you will know you chose the right builder for your new home. Knez Homes is committed to leaving this earth better than we found it. Through our donation, Trees for the Future will plant 10 trees for every home we build. It is our way of giving back. We are members of National Association of Homebuilders, Ohio Home Builders Association, Home Builders Association of Greater Cleveland and Professional Remodelers of Ohio. 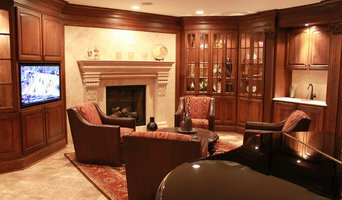 We are a hands on remodeling firm working with the client from start to finish. 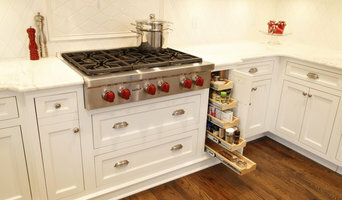 We offer creative, custom solutions when renovating homes. We are clean, professional and honest. Dolson & Sons is a full service design and construction company serving NE Ohio. At Isawall Systems LLC, our goal is to provide the single best workout experience possible in an aesthetically pleasing and space conscious way. The Isawall is a unique workout apparatus that takes up virtually no space, and can allow users to engage in over one hundred different exercises targeting every major muscle group. The Isawall is also ideal for working flexibility, balance, and numerous rehabilitative exercises. Whether your goal is to optimize sport performance, target balance and flexibility, or improve activities for daily living through exercise, the Isawall has something to offer you. QUESTIONS? Email us via the green "CONTACT ME" button on our Houzz Pro Page or the grey "EMAIL ME" button via mobile. We will get back to you as soon as possible! Payne & Payne Builders has been Northeast Ohio's favorite brand for over two decades, with services including Architecture & Interior Design, Custom Homes, Semi-Custom Homes, and Remodeling Services. Payne & Payne provides their clients a single stop for award-winning design and industry leading construction services. Payne & Payne tailors the design and building process to meet each family's needs and budget. While they are known for their stand-out design and quality, their brand has grown as a result of their focus on the client's experience during the process... and after. For over two decades Walnut Construction has been building quality homes throughout Northeast Ohio with one goal in mind ... to exceed our clients expectations. We create living spaces that incorporate your lifestyle and individual tastes and combine them with the latest technology and construction methods demanded by today’s sophisticated buyer. We tailor our services to meet your individual needs. MSD Home Designs was Founded in 2002. MSD "Michael DiBenedetto" has over 20 years of building experience, and is accompanied by over 70 years of family building experience. To design an amazing home you have to understand how to build a home. Michael DiBenedetto is a 3rd generation builder on his father's side and a 3rd generation builder on his mother's side. Our relatives in Avezzano Italy are also well respected builders. MSD has completed numerous projects across the country and has even collaborated on projects in Avezzano and Rome Italy. We offer interior design, new construction, remodeling and addition design services nationwide. 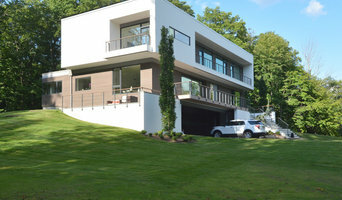 MSD Home Designs is all about flexibility, innovation and above all, results. Our team of experienced dynamic designers will focus on your precise wishes to deliver cost-effective solutions to any project. "My designs are very unique and truly one of a kind. I specialize in creating magazine quality homes at an affordable cost". "Our designers display your home visually in 3-Dimensions. We design your Exterior, Kitchens, Bathrooms, Foyers, Great Rooms and any other room you want to visualize in 3-D. We collaborate with our clients to design every detail in their home. Everything from paint, trim, floor style, windows, doors, cabinets and so on allowing our clients to visualize themselves living in the home that is yet to be built. This is the only true way to understand how the home will look and function when it is completed". 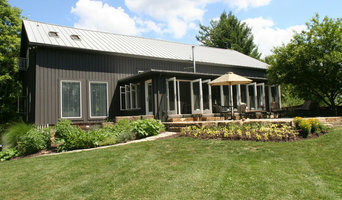 Dever Design & Build was established in 1989 by owner Jack Dever. We are a dedicated team of designers and building professionals working in unison to design and build residential and commercial properties throughout northeast Ohio. Jack’s company offers architectural, interior design and construction management services. Since our inception, we have diligently worked to assemble a team of highly skilled, knowledgeable and customer service building professionals, to design and build our client’s properties. Dever Design & Build is managed by owner Jack Dever, a customer service oriented support staff and utilizes the skills of area trusted and reliable designers, tradesmen, and vendors in various capacities during the inception and completion of each project. Choosing to remain a small privately-owned company has enabled us to be detailed focused on our client’s needs and desires, while staying on time and budget. Jack Dever personally oversees every detail of every project to ensure total customer satisfaction.